This post is long overdue but I thought I'd share it nonetheless, since the collection is still available in store and has 50% off. 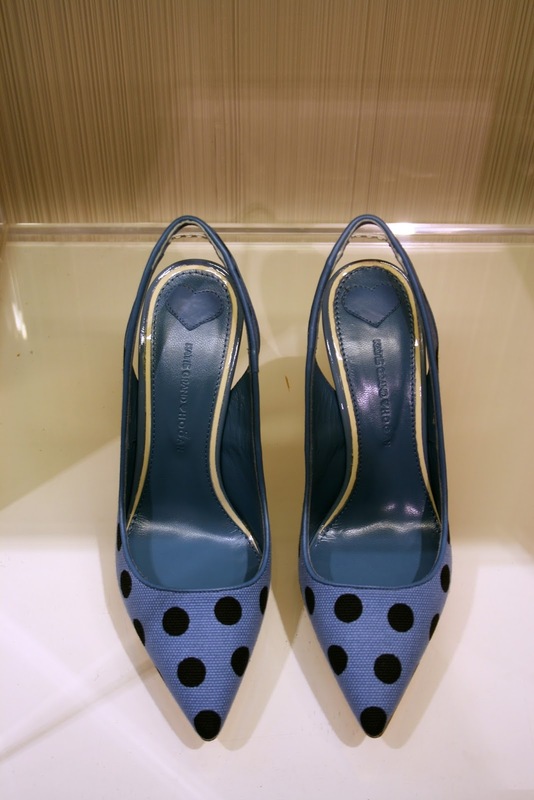 My love for polka dots isn't something new, it's such a fun pattern to wear if you are bored with stripes, floral and plaid..
Katie Grand for Hogan was all about polka dots, sling back pointed two pumps and slip on sneakers which seems to be the trend nowadays.. 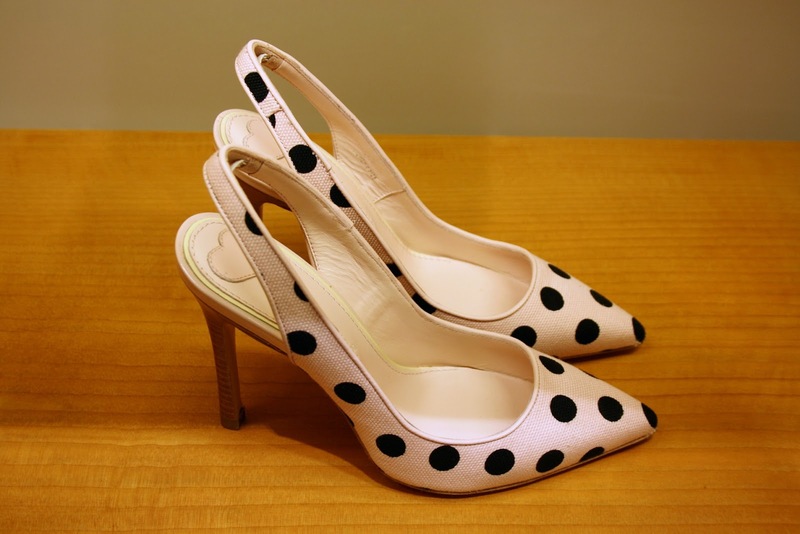 I fell in love with the pumps since I rarely wear this sort of flats but unfortunately the black and white version was sold out otherwise I wouldn't think twice. You think the black and blue are equally nice? Slip on sneakers with patent leather hearts on the front of the shoes, a cute edition if you fancy canvass sneakers with a girly touch..